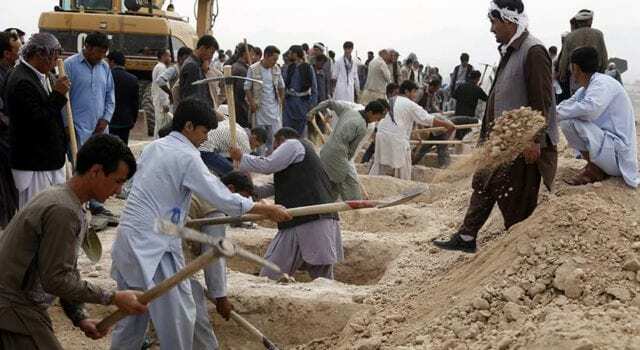 People dig graves July 24 for victims of a suicide bomb attack in Kabul, Afghanistan. The U.S. State Department's annual report on international religious freedom highlights Muslim violence against other Muslims. (CNS photo/Jawad Jalali, EPA) See INTERNATIONAL-RELIGIOUS-FREEDOM-REPORT Aug. 11, 2016. Previous articleThat nasty Donald guy!